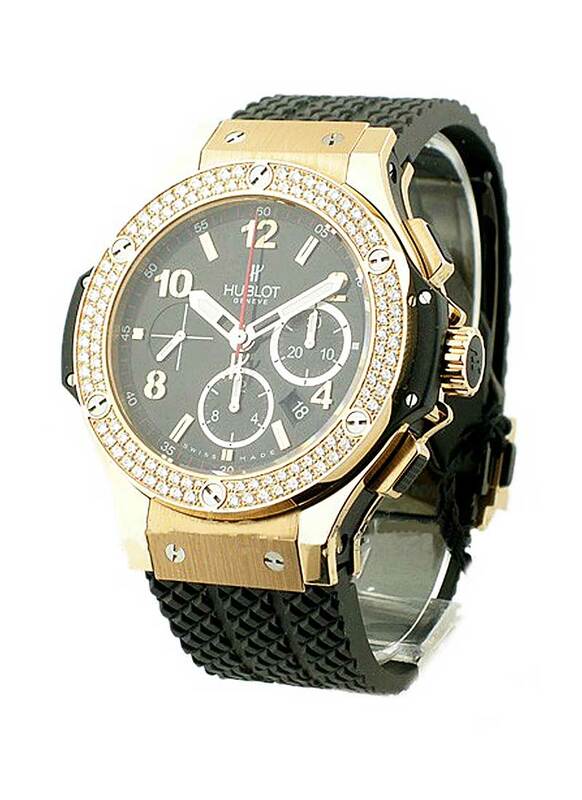 This watch is also known as: 301PX130RX114 , 301-PX-130-RX-114 , 301/PX/130/RX/114 . 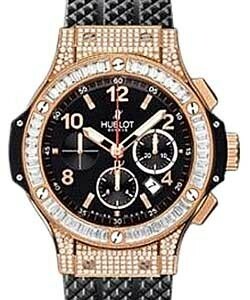 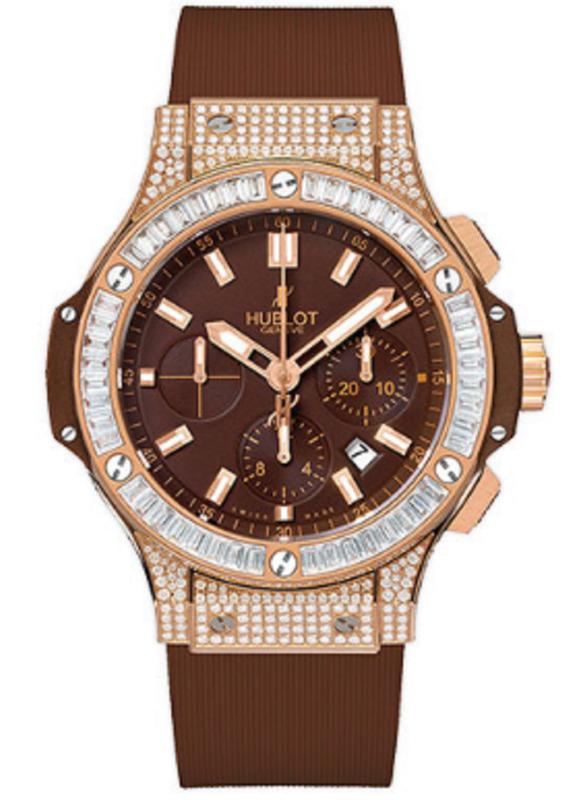 Made with versatility, the Hublot Big Bang - 44mm - 2 Row Diamond Bezel (ref 301.PX.130.RX.114) features a lovely18 Kt rose gold case with two rows of diamonds layered on the bezel. 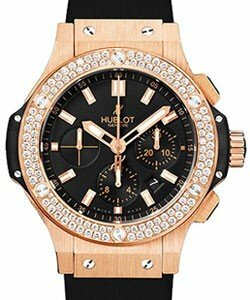 Its black dial carries a chronograph, with automatic movement, stick and numeral markers, and luminous hands, all of which complementing the Hublot timepiece?s elegant bezel. 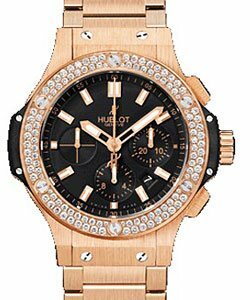 The Hublot Big Bang - 44mm - 2 Row Diamond Bezel (ref 301.PX.130.RX.114) has a studded rubber strap, built to withstand tough conditions and is water resistant for up to 100 meters. 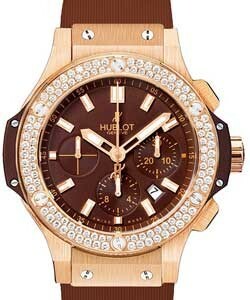 Style, elegance, individuality and sophistication are expressed through the Hublot Big Bang - 44mm - 2 Row Diamond Bezel (ref 301.PX.130.RX.114). 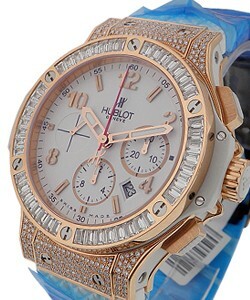 Evidently, it uses geometric angles and curves to achieve its striking look.